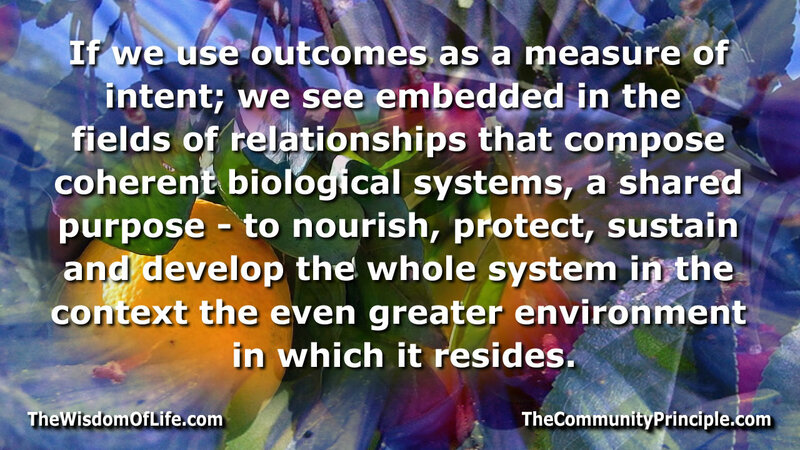 The strength of a system depends on the extent to which the collective filling of needs covers the entire systems nutrition requirements to produce fruitful outcomes. Whether we focus inward or outward, we see repeated echoes of the same unified purpose – the evidence for which is expressed through the fact that the relationships are collectively aligned to sense the environment for a swath of communal needs, and the alignment of certain behaviors around the meeting of those needs. One of the powerful meanings conveyed through biological systems is that the whole system depends on the whole system for wholeness.